National Bosses day is almost here and this is the perfect day to honor and celebrate your boss and employer. From taking them out to a nice lunch or just a simple thank you card to show your appreciation, any display of gratitude is sure to make their day. To help celebrate this day in style, we put together a list of ideas and tips to help you avoid those typical clichés and impress your boss. Take them to lunch – Know their favorite lunch order at the bistro up the street or their daily coffee order? Take a break from work and Surprise them with lunch! There’s nothing more familial than breaking bread together and it gives you the opportunity to really bond. To really make it special, get the rest of the office in on it and make it a potluck style office lunch party! Don’t know what to bring? Try one of these crowd pleasing recipes to really impress your coworkers! Decorate their office or shared space – Sneak into their office the day before Bosses Day to decorate their desk with streamers and balloons. Walking into a surprise is always a nice way to start the day. If that’s too much for your boss, surprise them with a little terrarium or desk plant to bring some life into their office. Give them something to display on their desk so that every time they look at it, they know they are appreciated. Give them a gift – Stay away from cliché gag gifts or personal gifts like perfume or clothing. Be thoughtful and don’t spend too much as that can be perceived as inappropriate. Involve your coworkers and ask the office to pitch in for a group gift. This could be anything from a professional gift to a pair of tickets to their favorite sports team or a spa getaway! 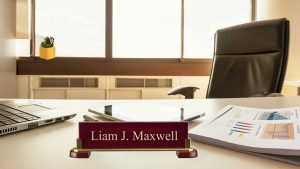 Sometimes, a thoughtful and professional gift like a personalized business card holder or name plate for their desk can really go a long way. 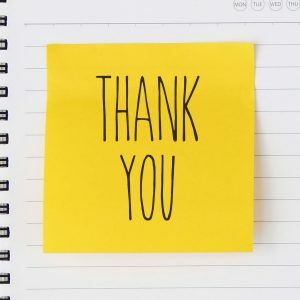 A simple thank you – Sometimes the best way for you to show your appreciation and gratitude is to just say it! Hand write a simple card or type up a short and sweet email expressing your thanks and how great of a boss they are. The simplest acts of gratitude are usually the most remembered! Take some time this year to celebrate this holiday and your employer with some of this tips and tricks. Always remember that it is the thought that counts and the simplest gestures are forever remembered. 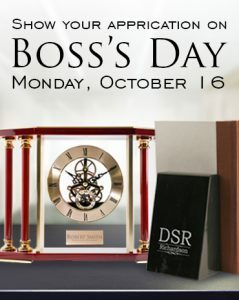 National Bosses Day is coming up quickly, October 16th to be exact, do you have any plans?